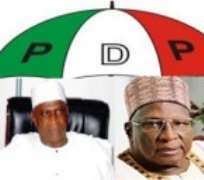 With the Court of Appeal reversing the unjust sacking of former Osun State Governor, Prince Olagunsoye Oyinlola, as the National Secretary of the Peoples Democratic Party (PDP), the days of Alhaji Bamanga Tukur and his illegal National Working Committee (NWC) in the Wadata Plaza Headquarters of our great party have become numbered. We received this historical judgment rendered yesterday by the Appeal Court, Abuja, through Justice Joseph Tor with great joy and gratitude. This judgment has once again reinforced our belief in the judiciary as the bastion of our democracy and the last hope of the common man. We once again commend and congratulate the judiciary for taking a firm stand for the truth in the face of the plot by some unpatriotic elements to cause confusion in the PDP with a view to destroying this great institution which some of us have laboured for many years to build. This is just one of the anomalies we have been complaining of that came about due to lack of internal democracy in our party occasioned by the undemocratic elements that hijacked the structure of our party and we are relying so much on the Judiciary to help us in addressing other anomalies that gave rise to our present struggle and restore hope back to our party. With this judgment, we hope that very soon our other court cases asking for the dissolution of the Tukur-led NWC would be given the same serious attention to enable us formally take over the reins of our party and restore it to the path of honour, justice and democratic norms which Tukur and his cohorts have bastardised. We wish to assure PDP faithful and all lovers of democracy that the cat with nine lives, Prince (Barr.) Olagunsoye Oyinlola is ready and determined to do the great work of rebuilding our great party. The sacking of the entire illegal NWC is, however, necessary so as to create room for the replacement of the current membership with patriotic party leaders who would join Prince Oyinlola in rebuilding the party, which has suffered so much in the hands of Tukur and his co-travellers. We sincerely sympathise with the erstwhile National Secretary, Prof. Wale Oladipo, who has achieved an unenviable record as the shortest reigning PDP National Secretary since the formation of the party. He should find something better to do and leave politics to politicians and return to the academic world to do what he knows best. The PDP National Legal Adviser Mr. Victor Kwom should stop further study of a judgement which was very clear even to a layman and set in motion the machinery for the immediate swearing in of Prince Oyinlola by next week Monday, 11th November, 2013, as he is in a hurry to start the rebuilding of the party. The National Legal Adviser who saw to Prof Wale Oladipo swearing in within 24 hours after his own court victory should apply the same treatment to the authentic National Secretary of PDP and stop portraying our party as a lawless party by attempting to delay his swearing in ceremony in obedience to a court ruling aimed at repositioning our party. We thank some of Tukur's NWC members and most of the staff of PDP in the Wadata Plaza who have called to congratulate Prince Oyinlola and want him to be sworn-in today. However, as we have already told them privately, that would not be possible as Prince Oyinlola is presently not in Abuja. Monday, 11th November, 2013 is okay as the swearing-in date and we are preparing to storm the PDP National Secretariat to claim what rightfully belongs to us. As we commend and congratulate Prince Oyinlola for this feat, we urge him not to be corrupted by the undemocratic toxic that may have been dropped in his office by Prof. Oladipo as many Nigerians look up to him to not only to restore hope to the PDP but to also use his magic wand to unify the party. We are happy of sending him back to the Wadata Plaza in advance as our present day John the Baptist to prepare and to announce to the world of our arrival as the authentic NWC of our great party within the next few weeks.